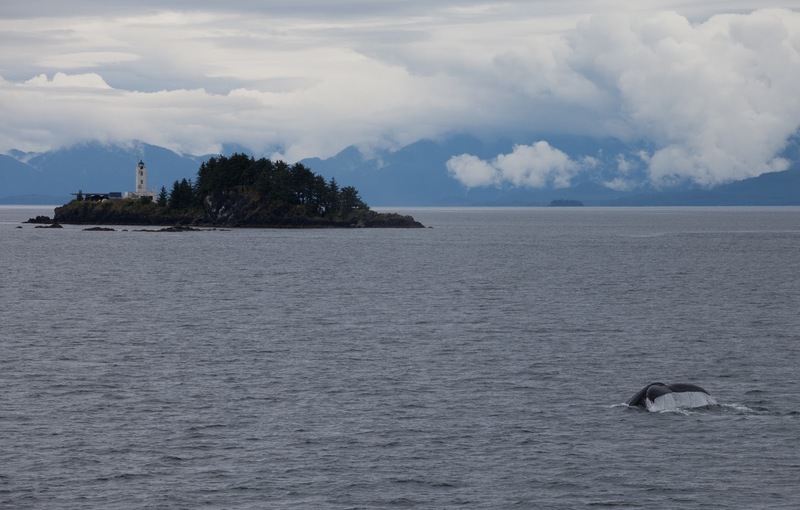 It turns out that late July is a pretty good time to be in Southeast Alaska for humpback whale action. 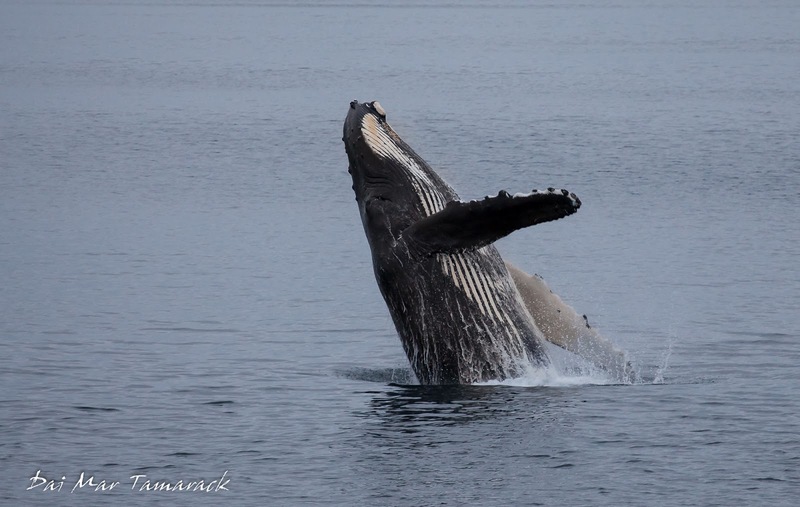 July and August mark the culmination of migrating humpbacks to the feeding grounds. 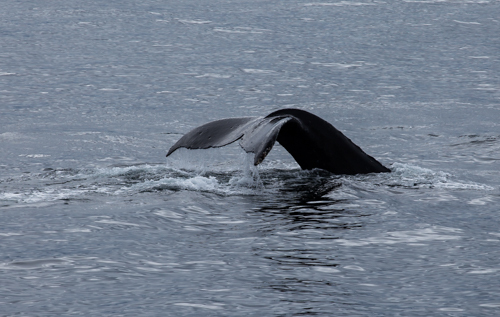 The bait fish and krill are here in abundance which means so are the humpbacks. After having spent many whale seasons in Hawaii, where these whales concentrate on calving and breeding instead of eating, it is wonderful to be on the flip side seeing all the different feeding behaviors. 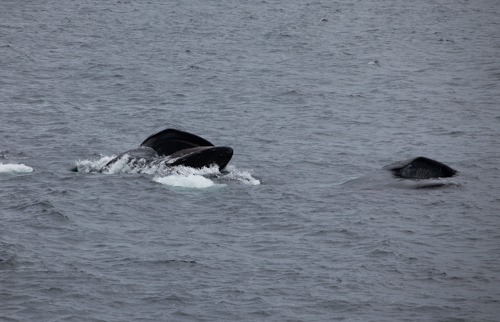 We had synchronized lunge feeding whales right next to the ship as well as a couple instances of bubble net feeding. Guests realized how amazing an encounter these feeding behaviors were when the entire crew flooded out to see them with cameras in hand. I never knew the lunge feeding could happen so cooperatively, with two whales coming up side by side at exactly the same moment, with mouth agape and ventral pleats expanding to let in close to 15,000 gallons of krill filled seawater. And while everyone's attention was tuned into these feeding whales close to the boat I saw one of the most amazing sights I've ever witnessed a little farther off...a quadruple breach. Four whales breached almost simultaneously and only a few of us saw it. It will be a special moment tucked away from an entire season of incredible sights. 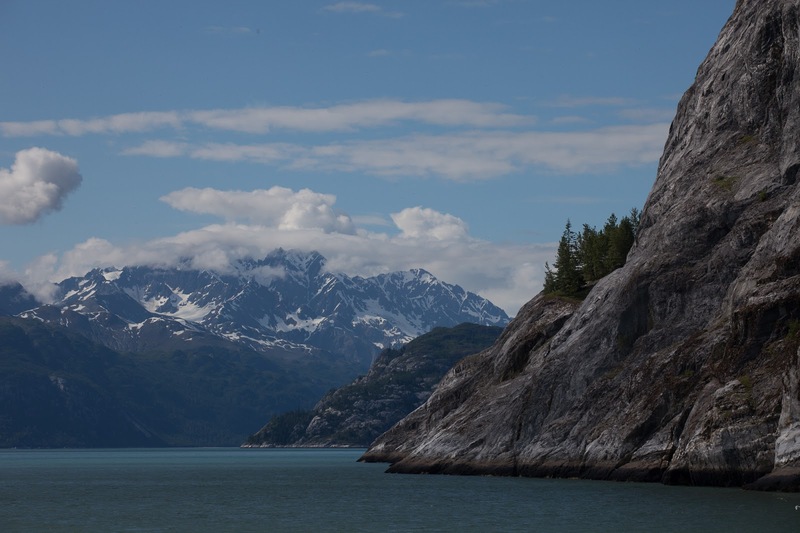 Frederick Sound is a large body of water in Alaska's inside passage which acts as a confluence zone for all the water coming in from Chatham Strait and Stephen's Passage. A lot of nutrients are swept into the area which in turn brings in the plankton, small fish, and eventually the big charismatic mega-fauna. 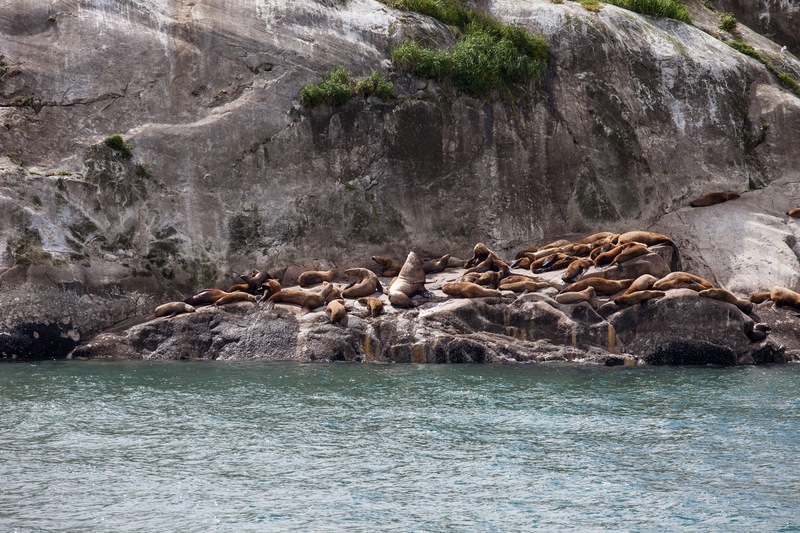 This is why we planned a half day of cruising and looking for wildlife in Frederick Sound. We woke up to a good sign, not so far off blows of humpbacks. Things really heated up as we left our anchorage and venture out into the sound. Humpbacks could be seen for miles around with their hot, steamy exhalations lingering in the cool Alaskan air. 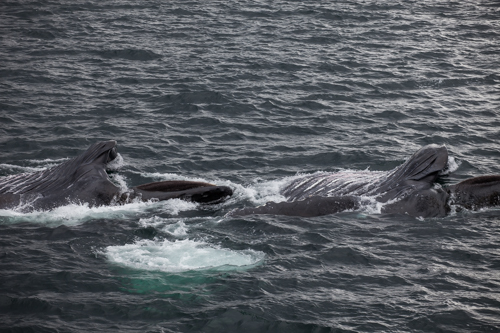 Then, as hard as it might be to believe, the humpbacks were upstaged. 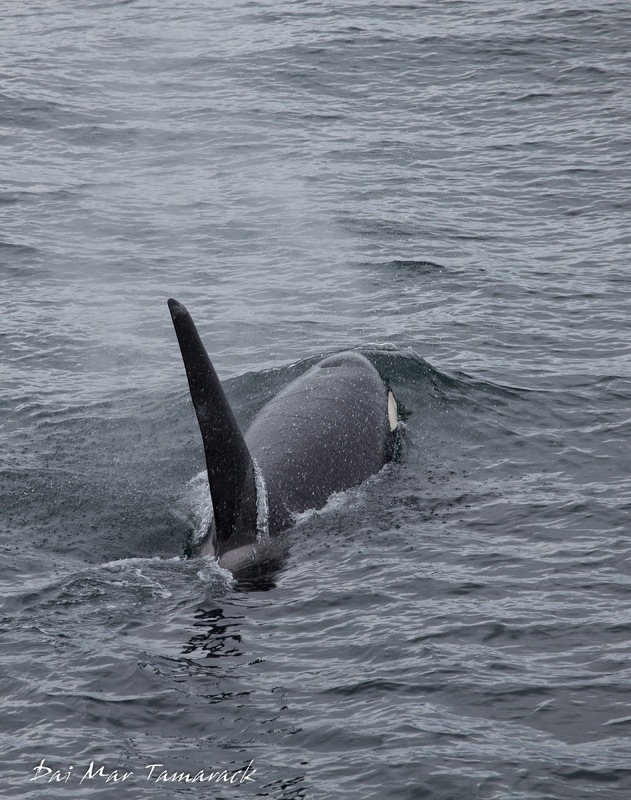 All of a sudden on the horizon a huge dorsal fin emerged out of the water. It was a pod of orcas heading our direction! 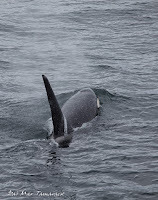 We stayed with the orcas for a good part of the morning watching them interact with the humpbacks and at one point swim over to interact with the boat! They surfaced just off our port side before sliding just under the water and under our bow. It was my best orca encounter yet. Even in the dark nutrient filled water we could still see the bright white patches of the orcas when they were that close. 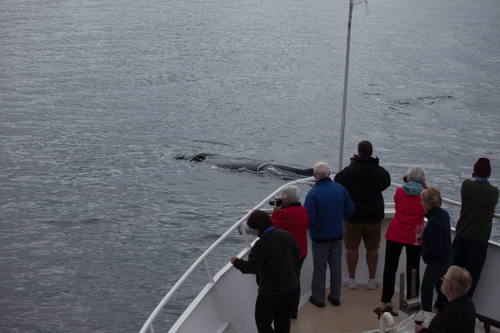 To top everything off we even had whales come join us during our afternoon activities. We were anchored off of Cape Fanshaw to offer hiking, snorkeling, and kayaking excursions. I took out one of the guided kayaks and we ended up being surrounded by feeding whales. 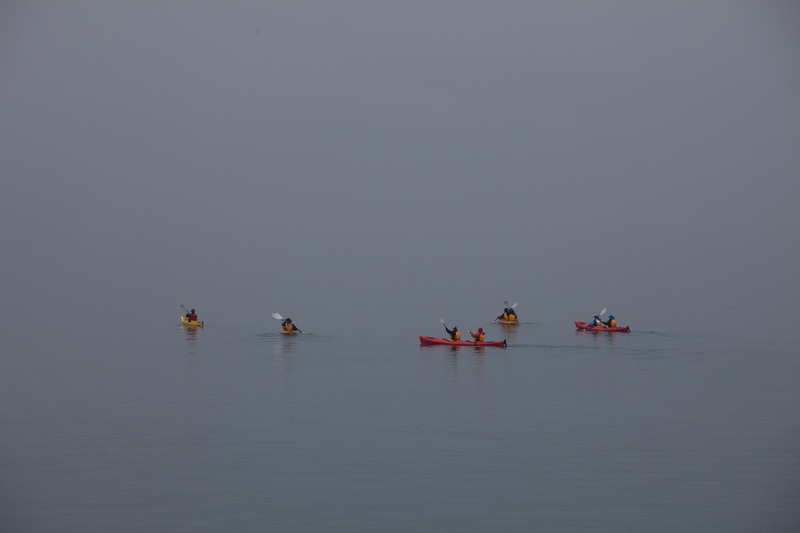 At one point a whale swam under our drifting kayaks and started blowing bubbles. I became a little nervous when the bubbles continued to form a perfect circle intersecting my kayak and encircling one of the guest kayaks. 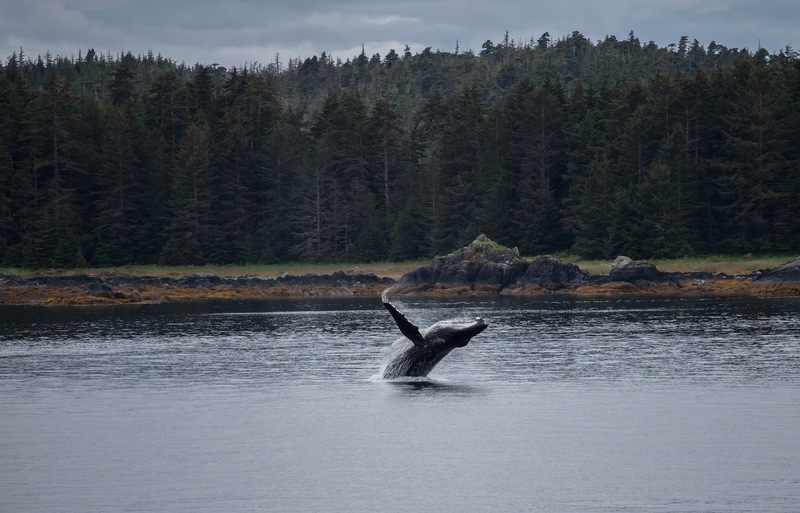 Luckily no guest were scooped up by a hungry humpback whale. All season I have been hearing stories about the infamous Baird Glacier. 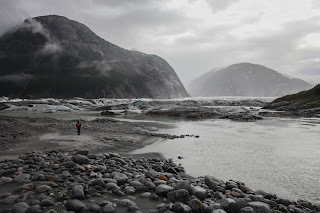 Apparently as recent as two years ago we were able to drop passengers off to go hike up onto the glacial ice. 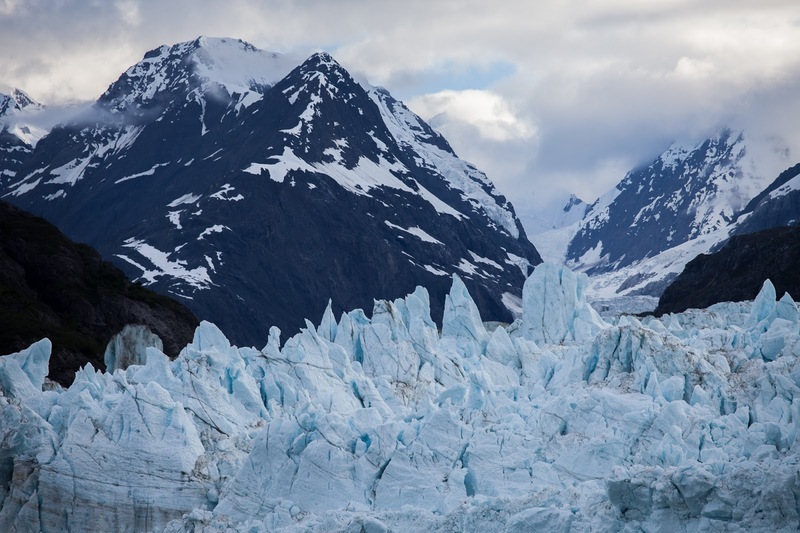 But as the glacier gallops backwards in its retreat, it leaves the terminal moraine buildup with an uncrossable lake between it and the ice. 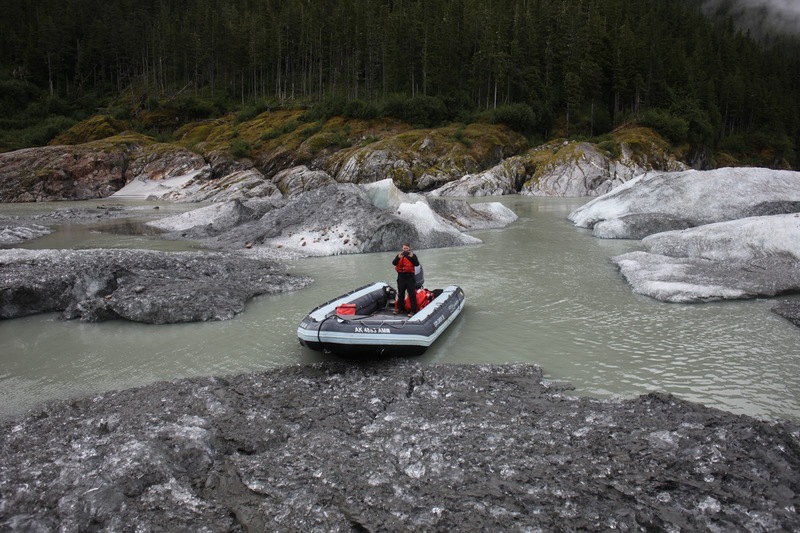 The first mate on board has been trying to talk me out of schedule excursions at Baird because of the fact that to get people up to the the landing area the small boats have to navigate a flowing glacial river complete with rapids and standing waves. 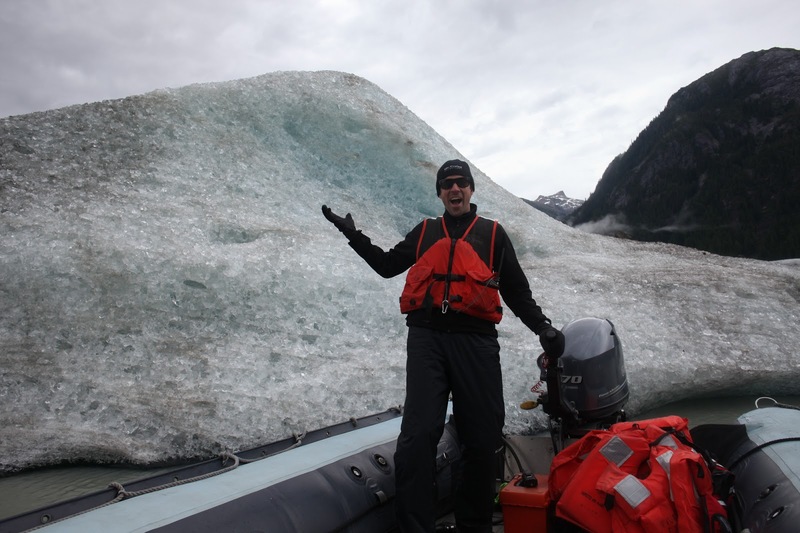 But I was not to be swayed so I used my power to send the ship to Baird glacier on this week's trip. After dropping off some hikers Ceili and I decided to go take another look at the rapids. With the high tide the standing waves were still big but it looked doable so we gave the little skiff some juice and flew up and over the falls. The led us into a wild, almost mystical ice filled lake. 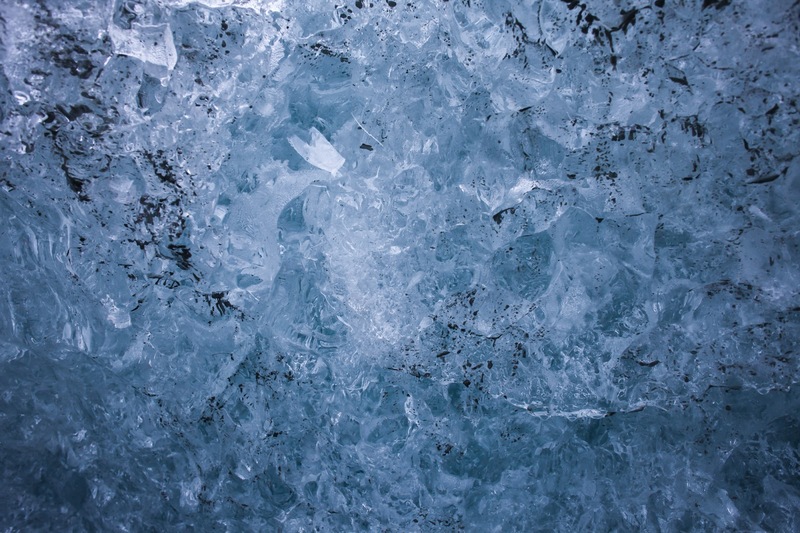 Most of the ice was separate from the main body of the glacier but contained all different kinds of colors and patterns. We were able to get out and walk around on some of the ice mounds. Just driving a boat around this area was a pretty amazing feeling. 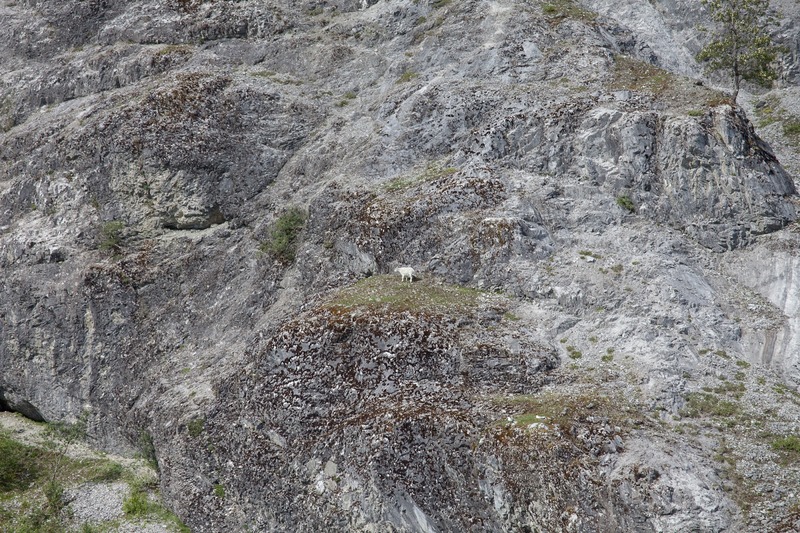 We were even able to ferry around some of the guest that managed to hike to the end of the moraine. It always feels good to break new ground for yourself and to push the limits of what has been done. Baird is an easy place to do that because it is ever changing. The next time we go back the entire area will be different provided new challenges and opportunities. 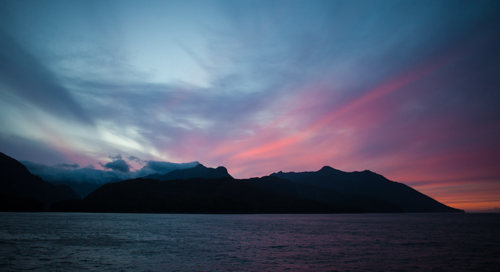 Until then I'll keep my eyes open here in the Inside Passage. 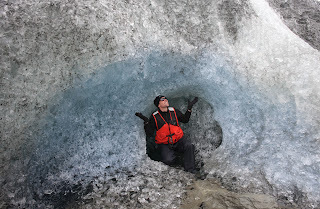 What do you do when you are about to jump into frigid cold waters with ice bergs and glaciers all around?....you go all out. 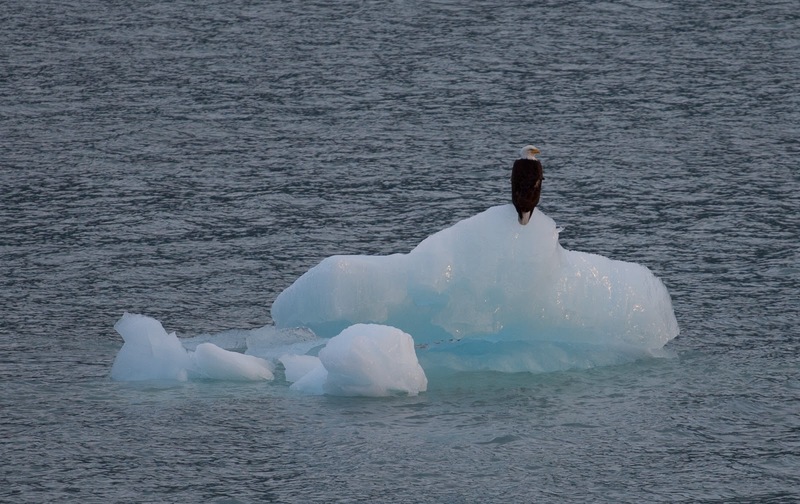 That is what I and many of the passengers aboard our Alaska adventure cruise did last week in Glacier Bay National Park. It takes the term 'polar bear plunge' to a whole new level. This picture also encapsulates that fun energy that seems to permeate throughout our boat from the crew to the passengers alike. I like to think that I am a small part of that reason that everyone has such an incredible adventure but being surrounded by such an amazing crew and feeding off that energy is what makes the whole experience. If you are wondering how this plunge went, I will only say that Alaska won this round. This past week was my first trip into Glacier Bay National Park. 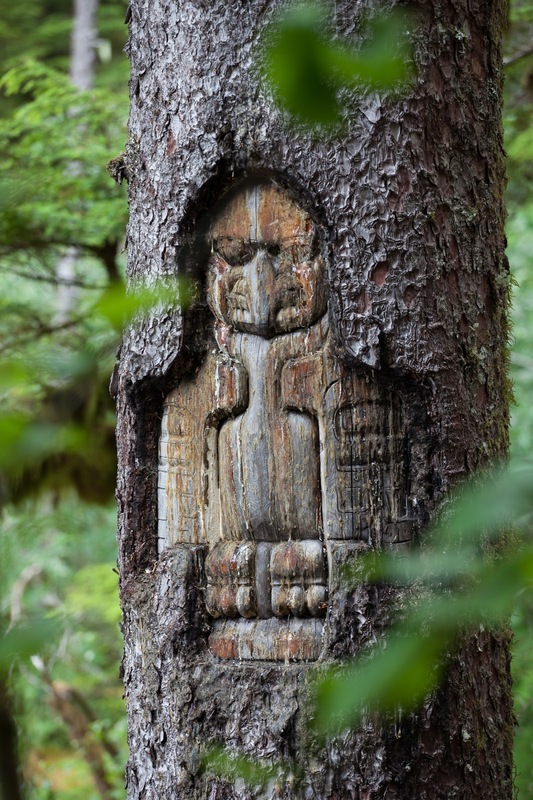 This UNESCO World Heritage site is a 5,000+ square mile national park filled with some of the best glaciers and wildlife in Southeast Alaska. Over the course of two days we had people kayaking and hiking right next to a glacier, watching bears, orcas, and humpbacks, puffins and stellar sea lions, nature walks through the mossy forest, and taking in some of the most beautiful waterways I have seen. 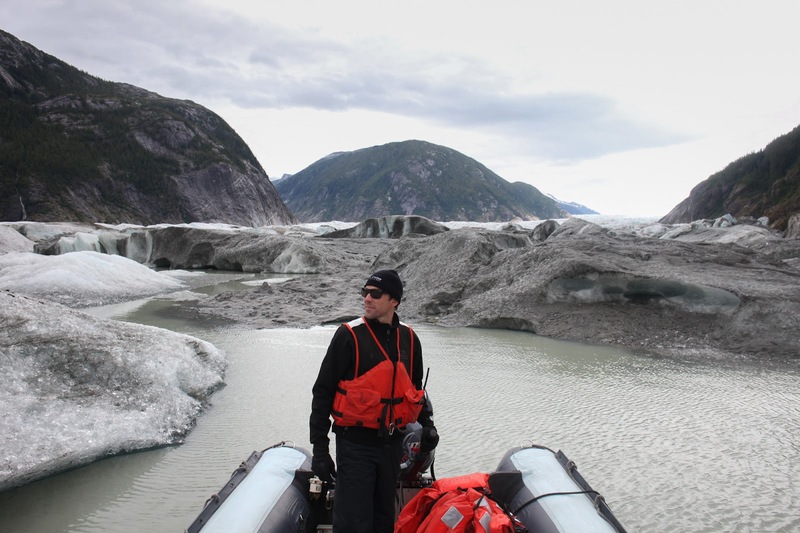 We spent some quality time looking at Margerie Glacier and Johns Hopkins Glacier from the big boat, while getting up close and personal with activities at Lamplugh Glacier. 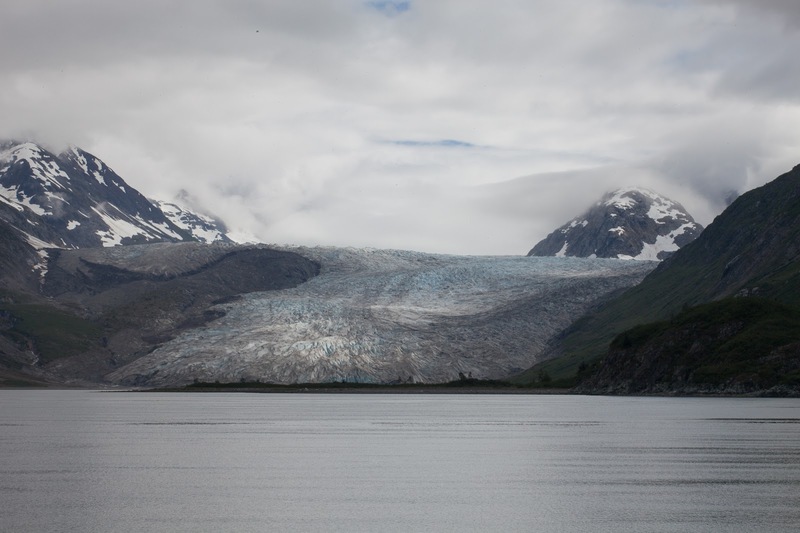 It is pretty crazy for some of the veteran crew members to see Lamplugh glacier up on dry land when just over a year ago it was a tidewater glacier, with its terminal face out into the seawater. The diversity of wildlife is what really blew me away in GBNP. 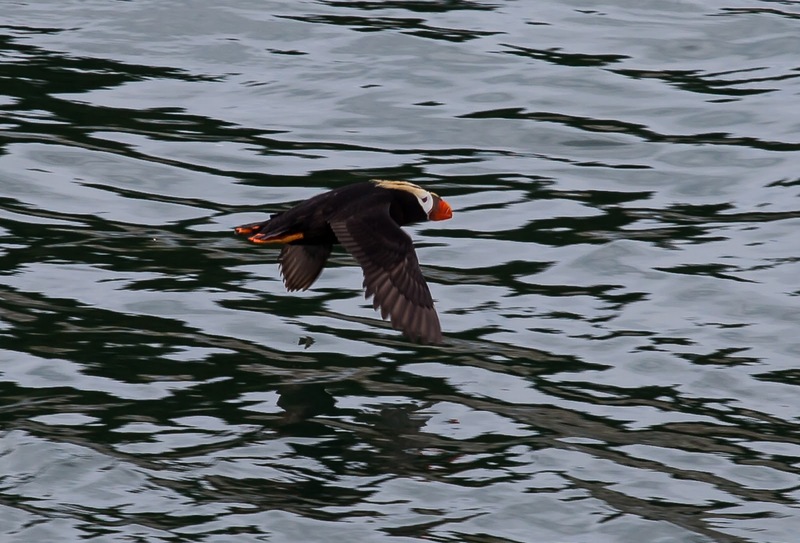 The bird life was plentiful and delighted all of our birding passengers on board. 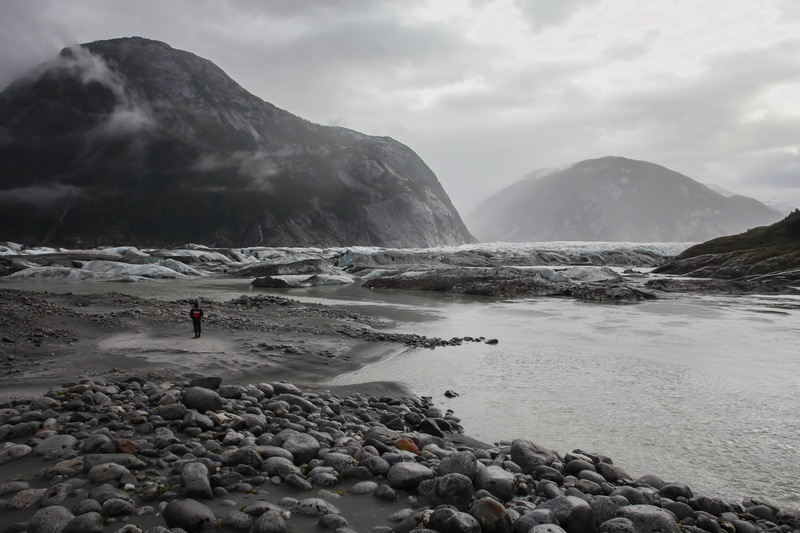 The immensity of the place is what I really took away from Glacier bay. 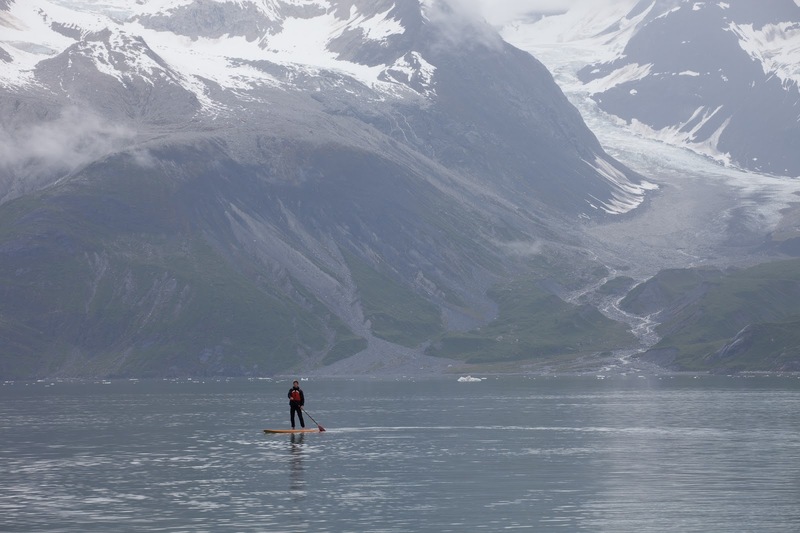 The massive size of the glaciers, and the snow capped peaks put our small boat and ourselves into perspective. It inspires a certain amount of awe and wonder. I can't wait to go back.